Die spring, for medium loads. 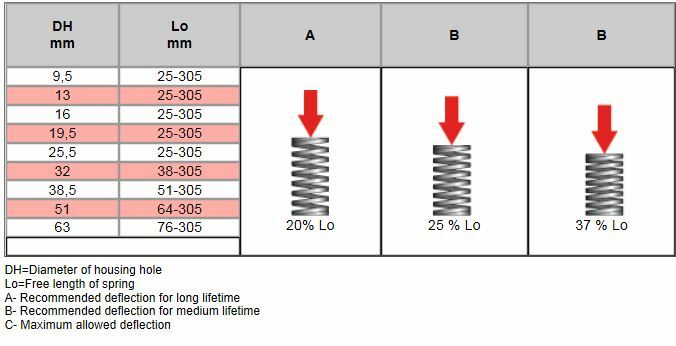 Oval wire high force compression spring, manufactured to USA standards and RoHS compliant. High grade alloy spring steel to UNI 3545, DIN 17221, DIN 17223 . Special cross section wires to reduce stress.